I recently finished my first creative writing class for the continuing education program at South Puget Sound Community College. Called “A Novel in Four Drafts” this four-part series was both well received and well attended, and I’m so grateful to SPSCC for providing me with this fantastic opportunity to instruct and inspire other writers. This class also marked the first time that I was able to work with the same group of students over multiple weeks, which allowed me to try out something new. In addition to my usual combination of lectures and focused activities, I experimented with some techniques designed to motivate students to write on their own during the week. At the end of every class session, students were given several minutes to consider what they had learned, and make notes of how they could apply those things to their own work. After that, students were asked to create and share a writing goal that they would accomplish before the next class session. The following week, students would report on their progress, sharing their successes and challenges in a safe, open environment. The response to this new approach was overwhelming positive. Rather than feeling intimidated, students that said they felt liberated by the goals and reporting, finding support and encouragement from their peers even as they continued to learn about the craft of writing. I was very pleased with the results of this experiment, and plan on continuing to use this method in all of my future classes through the college. If you’re interested in checking out my classes, you can click the link below for a list of all of my offerings for the summer and fall quarters. 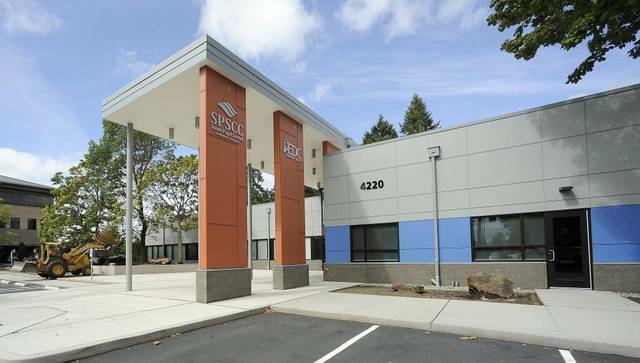 Classes are open to the public and take place at the college’s Lacey campus in western Washington.